The next series of Hockey World League Round 1 events are about to get underway as Glasgow (Scotland), Antalya (Turkey) and Accra (Ghana) prepare to host their respective events. Teams from across the world will be looking to make their mark over the next few weeks as they begin their quest to qualify for the Hockey World League Finals in 2017, and the Hockey World Cups in 2018. Before that their focus must be on qualifying for Round 2, thereafter the Hockey World League Semi-Finals await the top performing teams. Vital International Hockey Federation (FIH) Hero World Ranking points will also be on offer to those participating, and could prove crucial in terms of qualification for future events. In Glasgow five men’s teams will be doing battle to secure a spot in Round 2 – Wales, Portugal, Slovakia, Switzerland and the home nation, Scotland. The tournament starts at 17:00 (BST) on 6 September and takes the form of a round-robin competition. The opening match will be between Wales, who are ranked 36 in the FIH Hero World Rankings, and Portugal who sit at 41. For Welsh coach Zak Jones and his men, this event is a chance for Wales to compete on the global stage and demonstrate that the national association’s strategy 360 – taking a holistic approach to player development – is beginning to deliver results. Scotland come into the event as favourites. They are ranked at 28 and also have home advantage on their side, but they will be pushed by Switzerland, their opponents in the first game, who are ranked two places below them and have been working hard to improve upon their Hockey World League Season Two performance. Then they came fifth in their Round 2 group in South Africa in 2014. Switzerland has a new coach in Chris Fust, who was previously coach to the Czech Republic, and in the past few weeks the team, has played a three-match series against Chile, where they won two and drew the other game. Slovakia are the unknown quantity. Ranked 50 in the FIH Hero World Rankings, this is their second foray into the Hockey World League and they will be hoping the goal scoring brothers Martin and Frantisek Cernansky are on form. The Glasgow event will run from 6-11 September with the top two teams progressing to Hockey World League Round 2. Antalya is one of the other Hockey World League Round 1 events taking place in the next few weeks. The event runs from 9-11 September and is also a round-robin event. The participating teams are Austria (FIH Hero World Ranking 22), Oman (31), Qatar (68) and Turkey (45). The winning team in Antalya will secure qualification for the Hockey World League Round 2. While Austria will be out and out favourites to take the title, these are all teams who have been developing at pace in the past few years as they have embraced the ideals of the FIH Hockey Revolution, bringing higher levels of professionalism to their game. In Season Two of the Hockey World League, Austria made it all the way to the Semi-Finals in Buenos Aires, Argentina and will have the benefit of that experience to draw upon. Long serving players Michael Korper and Benjamin Stanzl will be hoping to lead their team all the way to the Hockey World League Semi-Finals again during this series. 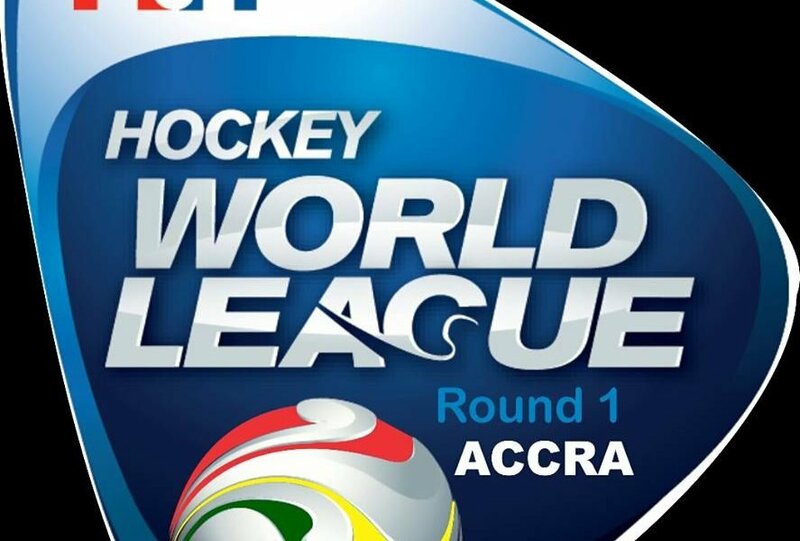 The third Hockey World League Round 1 event taking place is a joint men’s and women’s event at Accra in Ghana. This takes place from 9-11 September. Again, the winner of each event will progress to Hockey World League Round 2. Ghana, Kenya, Namibia and Nigeria are sending men’s teams to the event, with all those teams except Namibia also competing in the women’s event. If the African Hockey Championships in 2015 are anything to go by, the competition will be fierce. Ghana is a nation that has been driving hockey forwards through its involvement in the FIH West Africa Targeted Assistance Programme (TAP). The women’s team in particular benefited from spending two weeks at Bisham Abbey, working with England Hockey in 2015. But, as the continental championships demonstrated, Kenya are hard on Ghana’s heels in both the men’s and women’s game, while the hard-working Nigerians will not give up until the final whistle. In terms of FIH Hero World Rankings, the men’s teams are ranked as follows: Namibia (78), Nigeria (53), Ghana (43) and Kenya (38), while the women are ranked: Nigeria (62), Kenya (40) and Ghana (29). This is the second international event hosted in Ghana. A Hockey World League Round 1 event took place here back in 2012 and the country’s ability to host an international event is a mark of how far the country has progressed in a short while. Such global development is at the heart of the FIH 10 Year Strategy, the Hockey Revolution.